Best Toys for Preschool Boys - 2019 Top Toys for Preschoolers! Hi Toy Shoppers! Heads up that if you buy the cool toys we recommend with our links, you don't pay more, but we get a small commission - Fist Bump! Full disclosure here. Best Toys for Preschool Boys – Latest Top Toys Preschool Boys are Loving! Share these epic toy ideas! If you’re looking for the best toys for preschool boys, here’s our list of the latest top toys for 3 and 4-year-old boys right now. These are some of the 2018 and 2019 best toys for preschoolers and chances are the preschool boy in your life is dreaming of at least one of them. 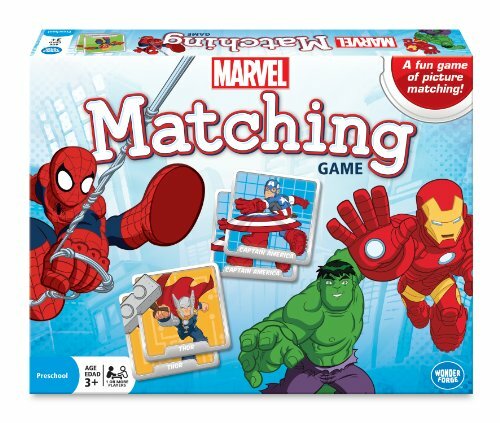 From superheroes to science and creative toys, you’ll find something in the latest toy releases to make the preschool boy on your gift list grin like the Cheshire Cat. IN A HURRY? 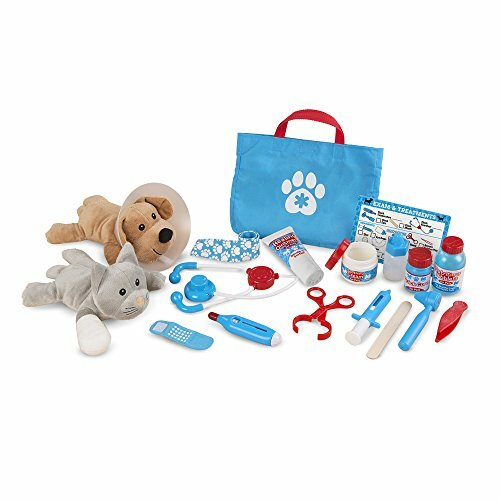 ==> Browse all Amazon’s preschool toys by category HERE! We’re going to start our list out with some favorite, high-rating toys that preschool boys love. These would make great Christmas or birthday gifts for the preschool boy in your life! Then scroll on down to see some brand new toys that are sure to be on his wish list. 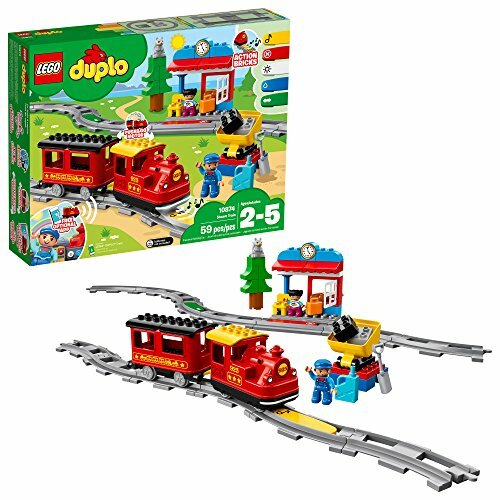 Duplo takes train sets for preschoolers to a whole new level with their brand new Steam Train Building Set. This set is not only a fun train building experience but teaches kids the basics of coding too. There are five blocks coded with commands for things like lights, sound and movement. These blocks can be inserted various places in the tracks and when the train passes over them, it follows the command. Kids love watching as their train makes sounds or changes direction in the exact spot they told it to. Plus, there’s just the good ‘ole fun of playing with a train! The set is easy to build and works with the tracks from other Duplo sets, so your preschooler can build an EPIC track system if he wants. The train can even be remote controlled with an app! In case you haven’t noticed, ginormous playsets have been top toys for preschool boys in recent years. Seriously. The bigger, the better. 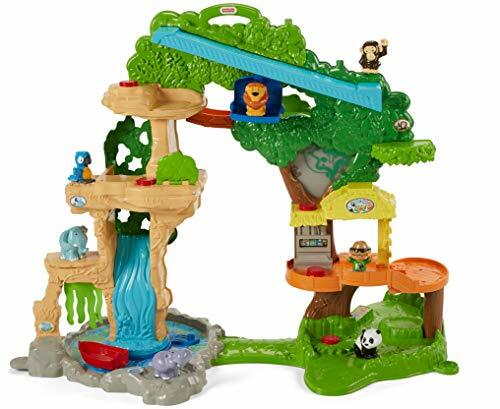 And the Imaginext toy line by Fisher-Price makes the most popular ginormous playsets for preschoolers of them all! Take a look at their most recent addition, the Jurassic World T-Rex. This thing absolutely thrills preschool-aged dinosaur lovers! 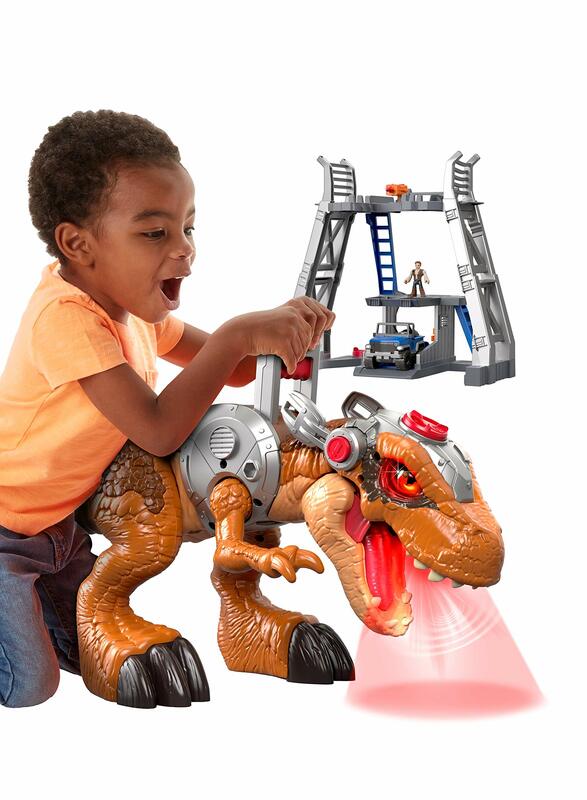 What could be better than controlling your very own T-Rex as she chases her dinner and chomps on cars? 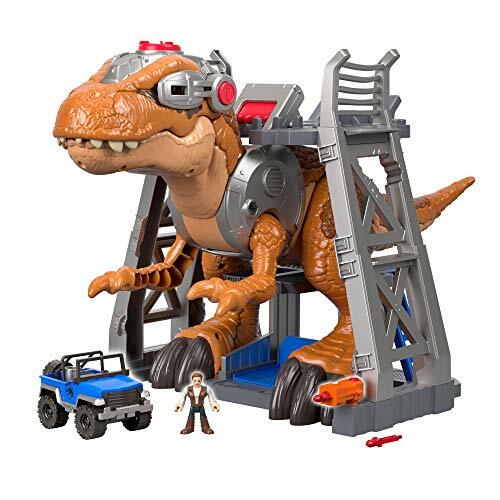 Imaginext also just released the Walking Indoraptor toy which chases cars and can be controlled with an app! It’s not as ginormous as the T-Rex, of course. It’s cool because kids learn what the different instruments sound like and how they change the whole flow of a song. Who knows, this toy may help you find out if you have a young composer on your hands! Another fun feature is you can download an app that will create videos to go along with your preschooler’s musical creation. PAW Patrol toys are always among the best toys for preschool boys! Actually, both my niece and nephew (ages 3 and 5) LOVE these toys. 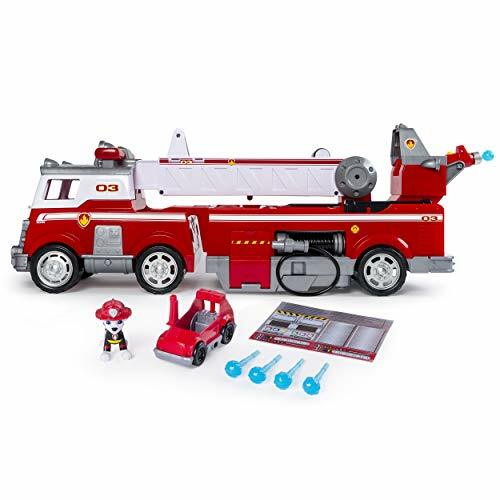 The new Ultimate Rescue Fire Truck is one of the best PAW Patrol toys ever. 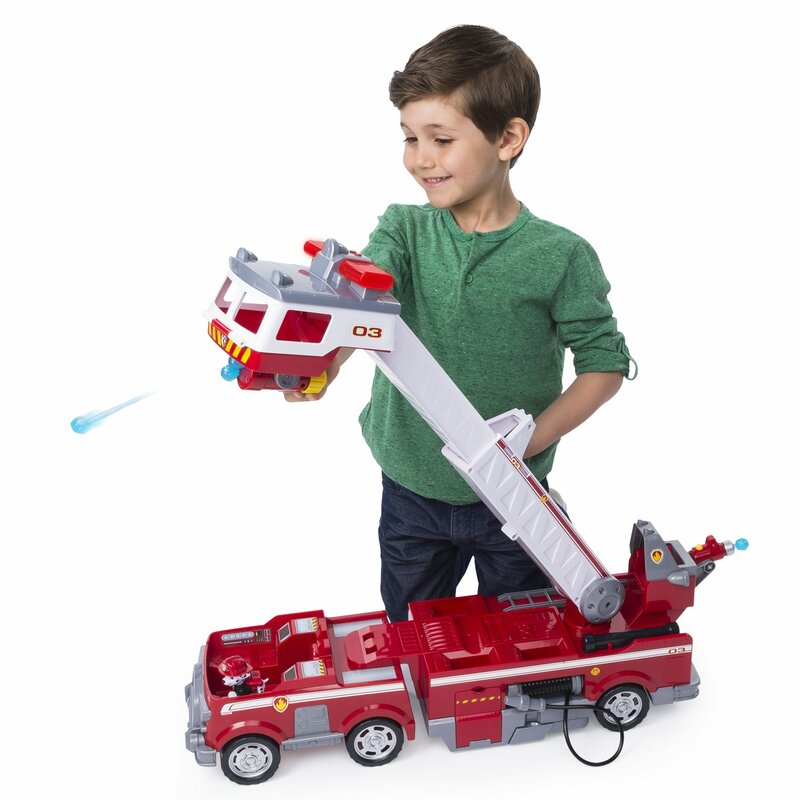 Preschoolers love all the things they can do with this thing, from pushing it along with its lights and siren, to extending the lookout cab for a rescue, to launching water cannons to put out fires! And there’s lots of working parts on it, to keep those little hands and minds busy. Most importantly, preschoolers love making up adventures for their favorite characters and acting them out with this cool rescue fire truck! Below are a few of the most pawpular 😉 Paw Patrol toys that preschool boys are loving. The Imaginext Super Friends toys appeal to kid’s secret desire to be a superhero! 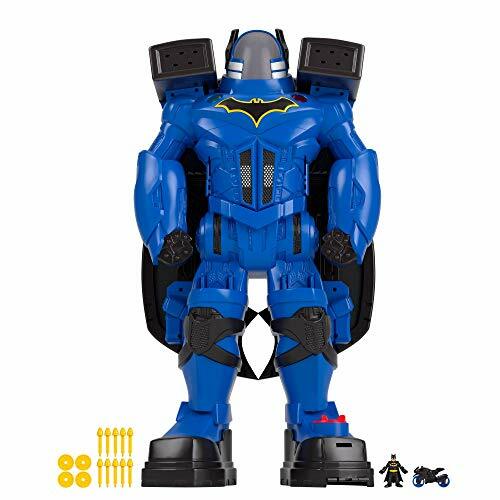 Their Batbot Xtreme toy is supersized (over two feet tall) and complete with projectile launchers and voice changer. 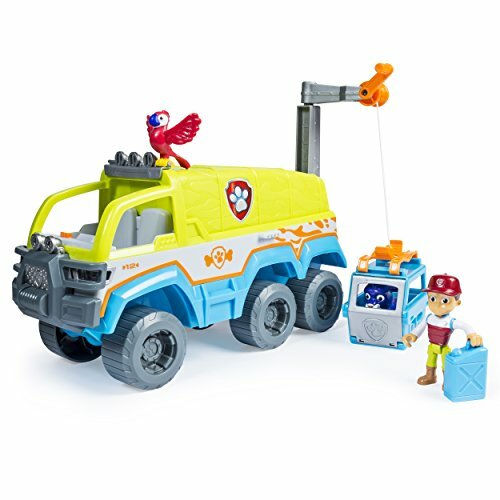 This toy was one of the best toys for preschool boys last Christmas and we’re keeping it on our toy list this year because it’s just so darn cool! I mean, what’s not to love about wings that pop out and fists that really punch? AND inside, Batman can take a secret elevator up to his crib and exchange witty one-liners with Alfred. If you buy this toy for a 3 or 4-year-old boy, don’t be surprised if the oldest boy in the house takes it over. Yeah, I’m talking about dad. 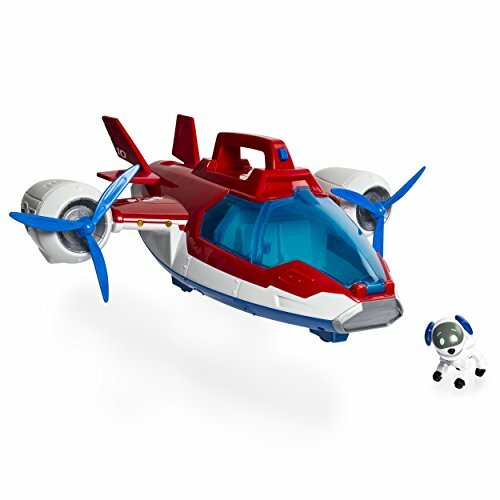 Here’s two more awesome Imaginext toys that the preschool boy in your life will love. The Justice League Mobile Command Center on the left is super popular. And the Transforming Batcave (even the name is cool!) is a huge seller with great reviews! Preschool boys need a little quiet time sometimes (and so do mom and dad!) and the Melissa & Doug Tabletop Easel is the perfect toy for those times. 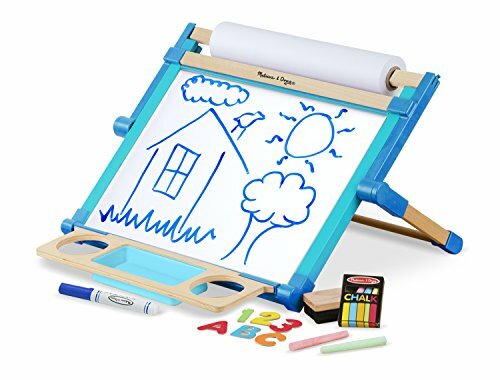 It’s a 3-in-1 easel, with a chalkboard, magnetic whiteboard, and paper roll, so preschoolers get a variety of ways to express that creativity. It comes with magnetic letters too, so they can learn words and spelling and start working on their Kindergarten skills. 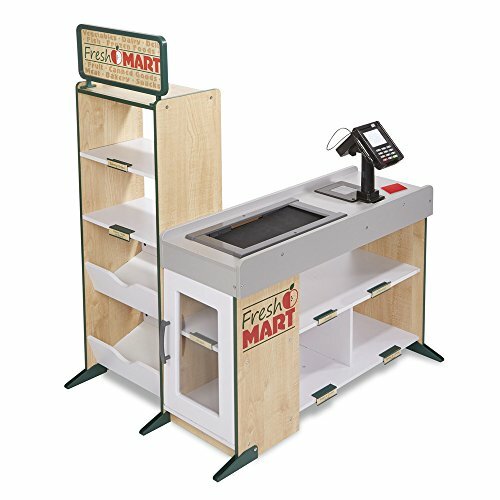 Parents love that this folds right up and tucks away, so it’s a great gift for a family that doesn’t have a lot of space. 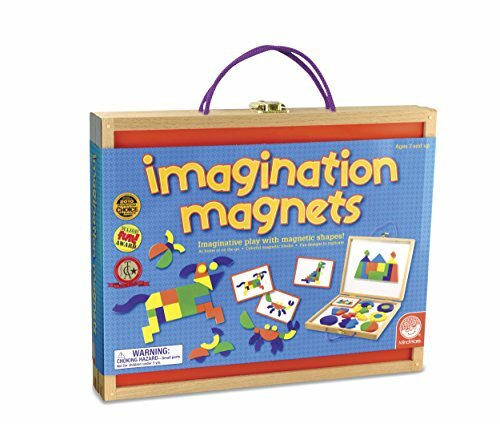 These foam magnets work well with the magnetic board to give preschoolers even more ways to use it. For the price, this is a great Christmas gift for a preschool boy that his parents will thank you for. Here’s a couple more toys for preschool boys to get their creative juices flowing. The Color Wonder set is a lot of fun – my nephew had it when he was about 4 years old and got lots of use out of it. The AquaDoodle mat on the right is a great travel toy for preschoolers and is very popular with our readers! The award-winning PlasmaCar has been around several years now, but is still getting almost perfect ratings from kids and parents. How it works with no pedals or batteries, I have no idea, but it can get up to 6 miles per hour! It’s super quiet, so if you have the room, kids can even use this thing indoors. And it supports up to 220 pounds, so your preschoolers older siblings will have a blast on it too, not too mention their parents! 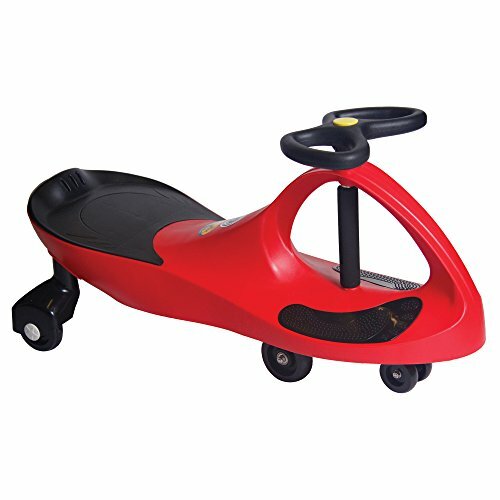 It’s a great toy for preschool boys to develop their balance and coordination skills too. 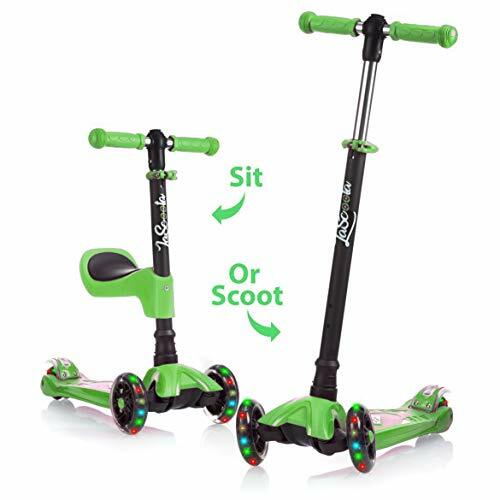 Below are two more highly rated ride-on toys for preschool boys that would be awesome Christmas or birthday gifts for the 3 or 4-year-old boy on your list. Budding photographers don’t have to wait until they’re old enough for a cell phone to practice their photography skills. 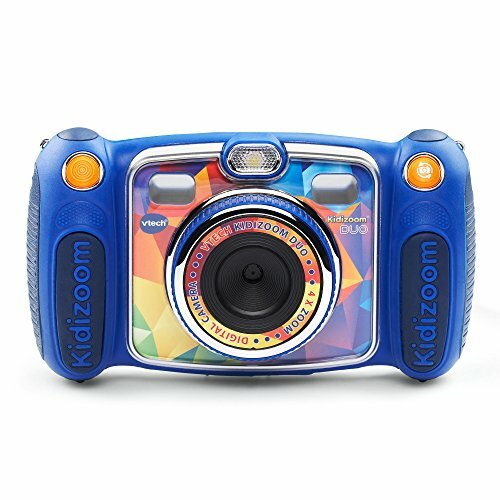 The VTech Kidizoom Duo Camera is extra durable and easy to use for preschoolers. When you give a 3 or 4-year-old a camera, they look a little closer at the world around them to see what they can capture. It inspires creativity as they try different angles to get just the right shot of their toy, sibling, or best friend. And parents get lots of memories captured on film, from their child’s perspective. The Duo works in front facing and selfie mode and records video too. It also has fun photo effects and even some games. Kids and parents are loving the Kidizoom Duo, making it a top toy choice for preschoolers this year! 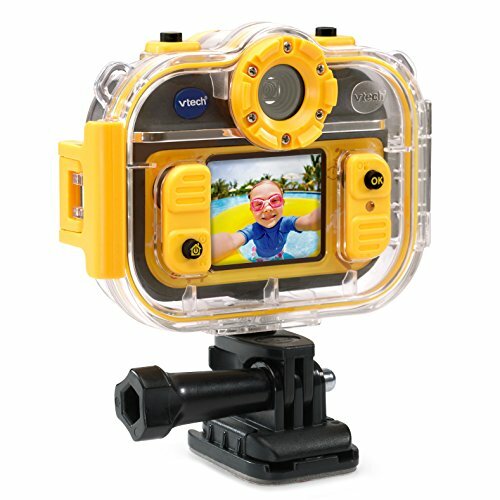 Below are a couple other cameras rated for preschoolers that have great reviews. The Action Cam on the left is like a Go Pro for kids. 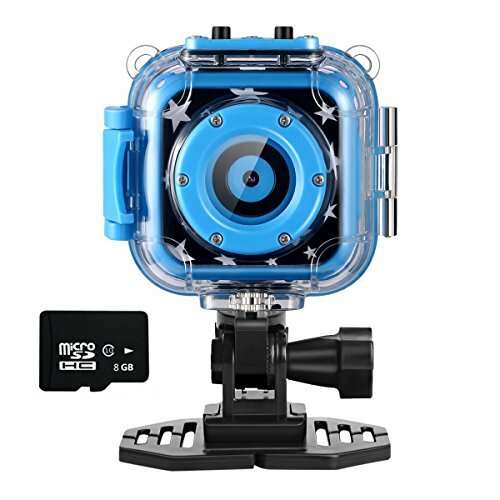 And the Ourlife camera and video recorder is waterproof so kids can get some great underwater footage. Imagine all the shenanigans that can be captured on film! Preschoolers love pretend play where they can mimic what they see mom and dad do. 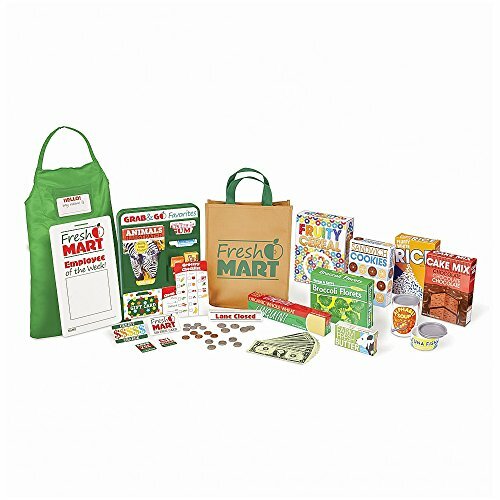 The Melissa & Doug Wooden Grocery Store set helps youngsters develop counting, organizing and critical thinking skills, while also teaching communication and cooperation lessons. Kids can take turns being clerk and customer (both are equally fun!) and stay busy and entertained for hours with this thing. Parents and kids give it rave reviews! 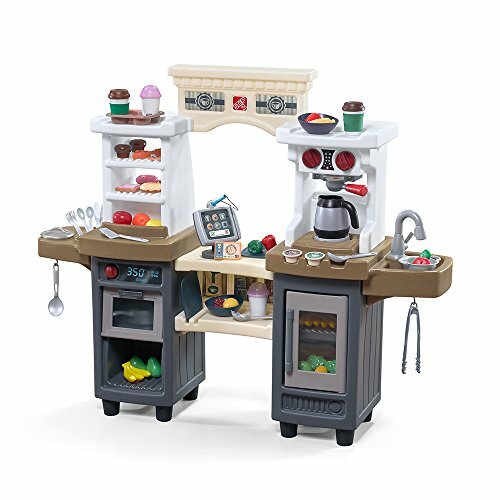 Another fun pretend play set we like is the new Step2 Coffee Bean Cafe and Kitchen. It has some unique features, like the swipe card checkout and an expresso style coffee maker. 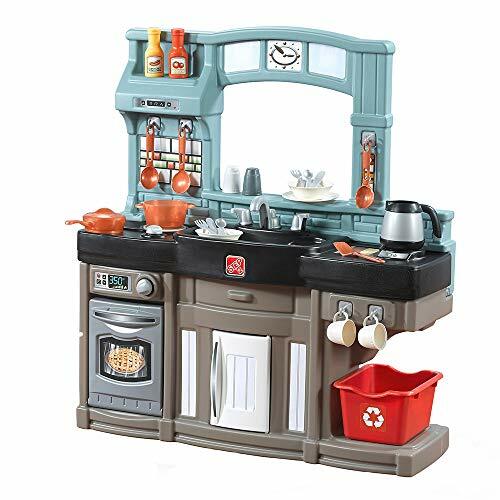 Preschoolers can play restaurant, coffee shop, or just play kitchen with this, so there’s lots of room for imaginative role play. It comes with lots of play food and accessories too, so it’s a great deal for the price! Play-Doh sets are consistently among the best toys for preschoolers. They’re just perfect for keeping little hands and minds busy! The Noodle Makin Mania set came out last year and is still a popular toy for preschool boys. Young Emerils can make all sorts of Italian concoctions, like lasagna and bow-tie pasta. A little of this, a little of that and BABAM! 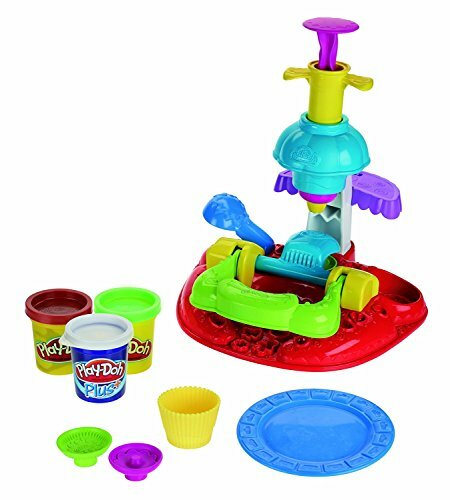 I like this set because there are all kinds of food-shaped molds on the side of the pasta maker, like shrimp and vegetables, so your budding cook can get real creative AND it’s fewer Play-Doh pieces to get lost. Pretty smart! 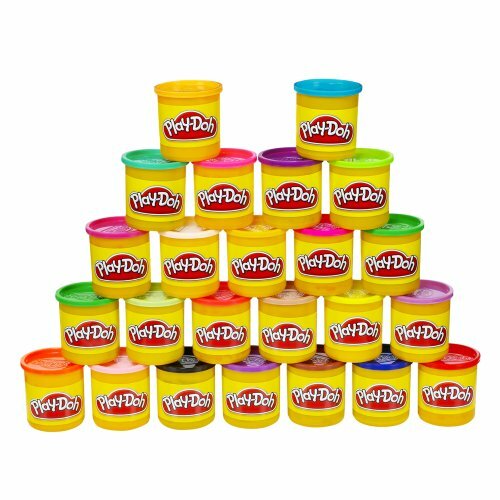 Play-Doh sets make super gifts for preschoolers! Below are a few more of our favorites and a good deal on a variety pack of Play-Doh. 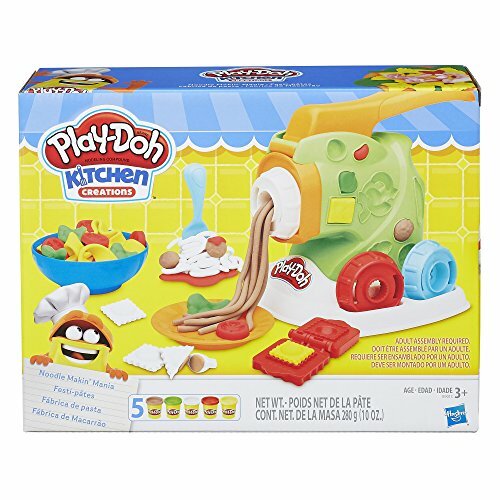 I really love the Play-Doh Play’n Store Table. 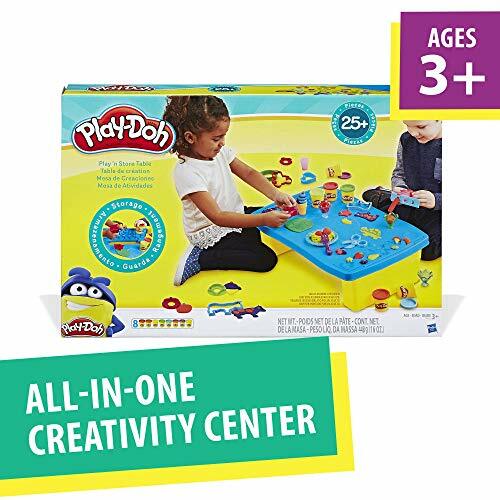 It comes with a bunch of shapers and storage for Play-Doh and tools, plus a nice work space for preschoolers to get creative! It’s never too early to ignite dreams of stardom in the preschooler on your gift list. After all, you could have another Dave Grohl on your hands and not even realize it yet. Budding drummers will have fun learning to keep a beat, plus their letters, numbers and other valuable lessons, with the KidiBeats Kids Drum Set for preschoolers. This toy was a top Christmas toy for preschoolers last year and continues to get rave reviews. And here’s a link to some Tylenol for mom and dad. 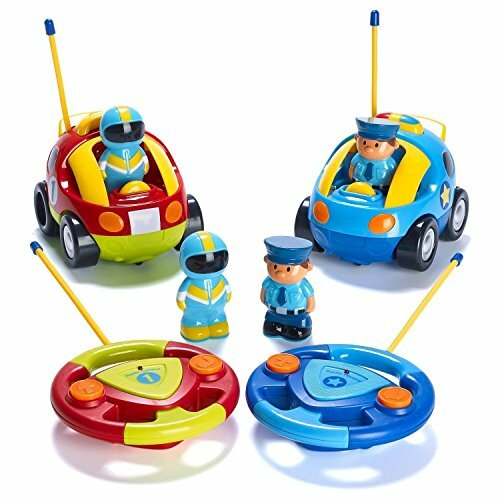 VTech musical toys seem to always make the list for best toys for preschool boys. 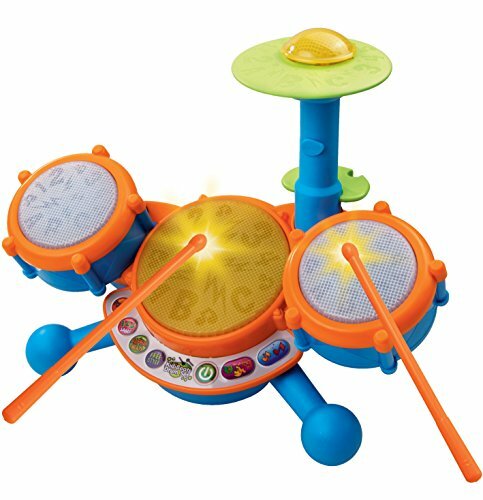 Below are two more popular musical toys from VTech. The mini recording studio on the right has awesome reviews! 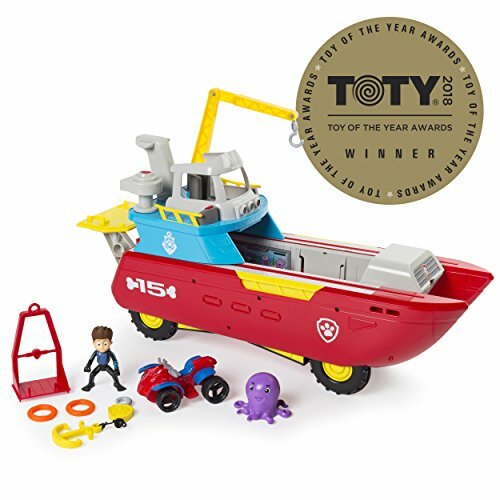 UPDATE ==>> Shop all the 2019 Toy of The Year Finalists here! Little Tikes is known for making some of the best toys for preschool boys. 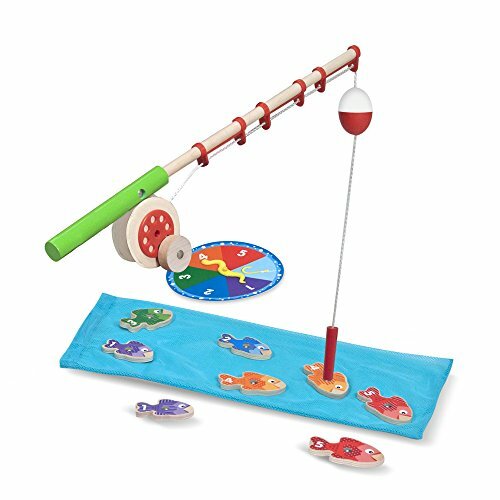 Their toys are durable and many (like this one) can be placed indoors or out. Great for those bad weather days. 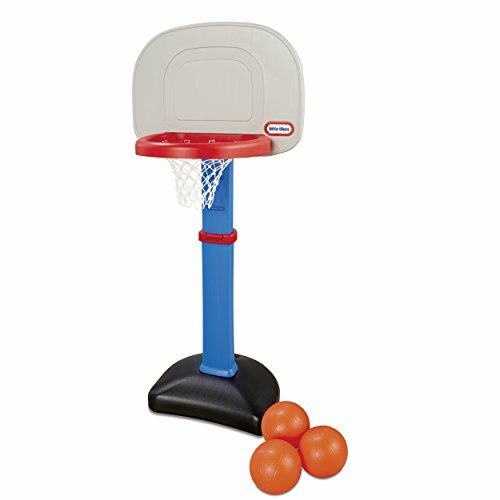 Young swooshers are loving this Easy Score Basketball Set. Preschool boys can burn off some of that endless energy while working on their coordination and balance skills too. Parents also love this set because the height is adjustable, so it works for a wide range of ages. Perfect gift for families with multiple kids! Here’s two more Little Tikes sports toys for preschoolers that are huge sellers! 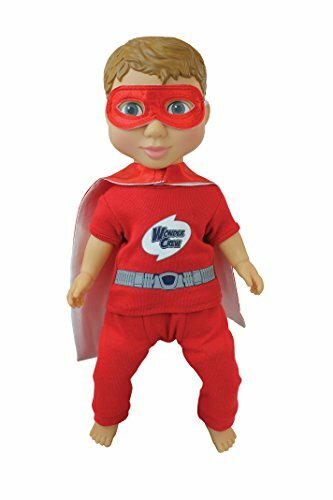 The lists of best toys for preschool boys don’t usually include dolls and we love that a mom designed these Superhero Buddy dolls to fill that void. You can even buy outfits for them, like these cute pajamas or this Explorer outfit. Another nice doll for boys is the Baby Alive Snakin’ Luke doll, that really eats and poops. It’s never too early to nurture those fathering skills in our little boys! Games are good gifts for preschool boys because they build social skills and can keep a group of preschoolers busy and having fun for a little while. And when the theme is super heroes, the game becomes epically cool! 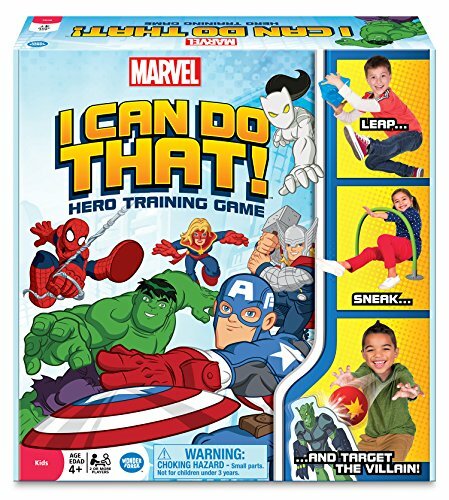 The Marvel I Can Do That game gives kids funny challenges to see if they’d make a good superhero. It gets them active and laughing at the same time. Win-win! 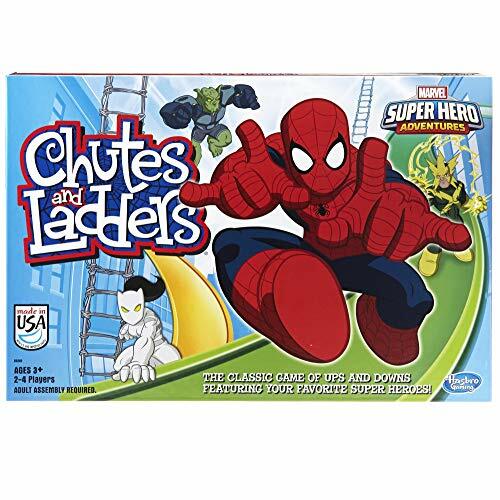 The classic Matching and Chutes & Ladders games get fun twists with the two Marvel Super Hero versions below. All of these games get great reviews from parents and kids! The Thomas & Friends toys are well-loved and among the best toys for preschool boys. 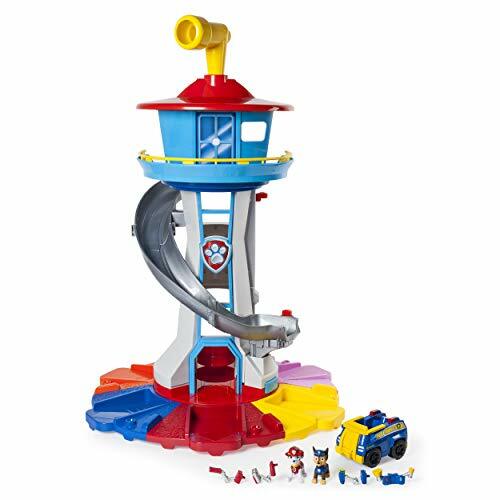 The Thomas & Friends Super Station playset features several of their favorite character cars and multiple configuration options to fit in a variety of spaces. This is such a nice playset because it’s plenty large enough for multiple kids to play with. Even mom and dad will want to relive their childhood and play trains with the kids! 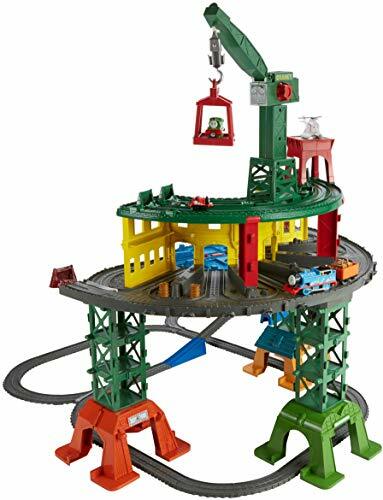 There’s lots of room to add additional tracks and cars too, so you’re all set for future gift ideas for your Thomas & Friends fan. If the preschool boy on your list likes Thomas & friends, he’ll enjoy the Mini Thomas & Friends sets. These are about the size of Matchbox cars and don’t need tracks to play on. 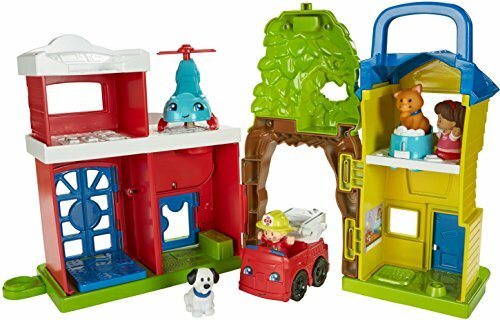 The Twist and Turn playset on the left is designed for minis and the 20 car set on the right is a really great deal on the minis! 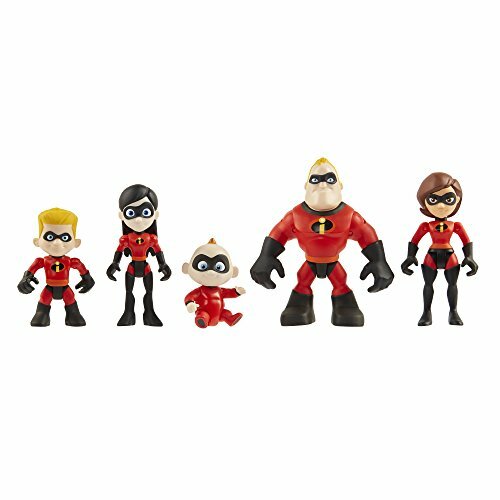 The new Jack-Jack figure from the Incredibles 2 movie will have preschool boys giggling with delight. 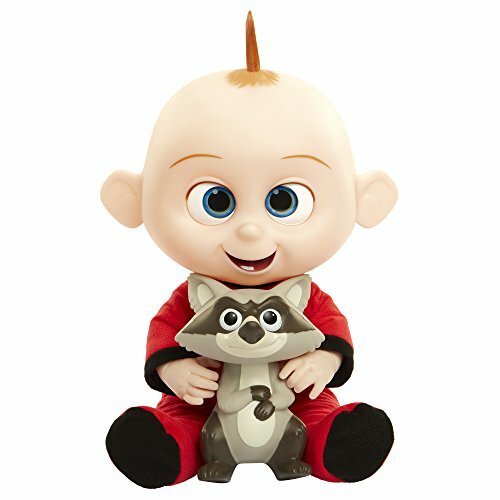 Jack Jack’s laser eyes light up and he gets red with super human fury when he has to battle his raccoon, but then goes back to cute little baby mode in the blink of a superhero’s eye. He’s soft enough to be a good sleeping toy for preschoolers, yet stimulating enough that they will have fun recreating movie scenes with him! 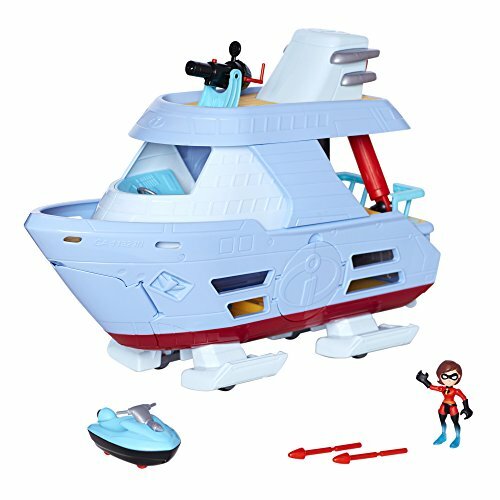 Another Incredibles 2 toy for preschoolers that is new in 2018 is the Hydroliner playset, where kids can create their own adventures for the Incredibles family! Ever notice how little kids are fascinated with rescue vehicles? Fire trucks, police cars, ambulances – they hear those sirens and can’t take their eyes off them as they whiz past! 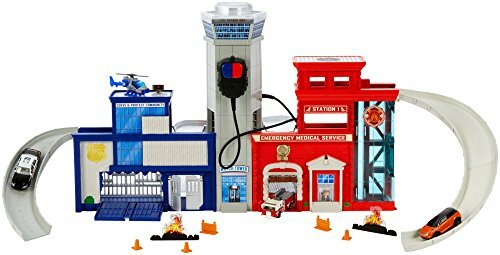 That’s why preschool boys love the Matchbox Rescue Headquarters set. They can act out their own rescue stories and they love all the working parts, like lights, elevator and real microphone! 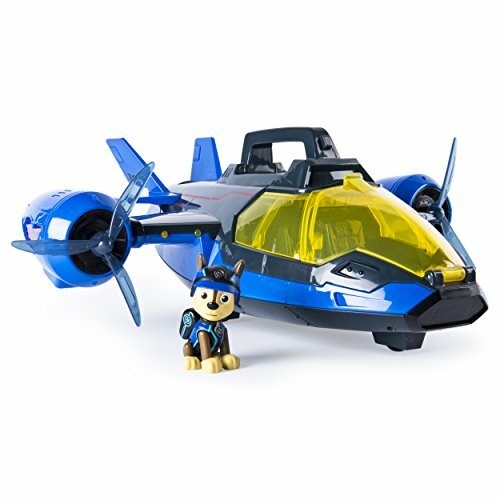 It comes with three vehicles and a helicopter, but you can buy extra rescue vehicles for it too. This is an awesome gift for the preschool boy in your life! 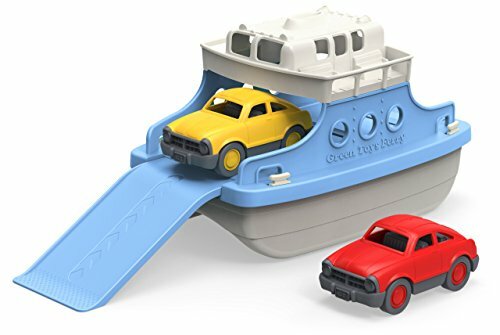 On the topic of fun car toys, below are a couple very popular Cars 3 toys for preschool boys. The Travel Time Mack truck is a big hit with preschoolers! 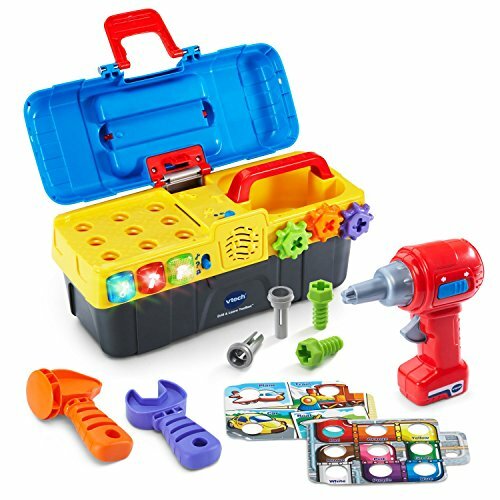 The VTech Drill and Learn Toolbox gives preschool boys their very own tool set so they can copy mom or dad. Preschool boys can learn all about tools and really drill and pound the screws and nails. While they’re learning repair basics, they also learn their colors and numbers and improve motor skills. The little man will love copying mom and dad with his very own toolbox. For the serious preschool DIYer, check out the Deluxe Workshop below! This thing is getting great reviews! Another neat tool toy for preschoolers is the Take-A-Part vehicle and tools set, pictured on the right. Kids can practice taking the truck and motorcycle apart and putting them back together. Magformers are the coolest building sets for kids! They’re one of the best toys for preschool boys because they encourage both creative and STEM skills. 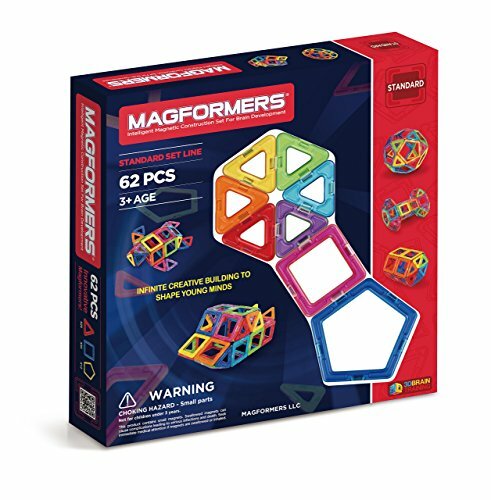 Magformers are magnetic shapes that connect together in all kinds of configurations for unique 3D creations. The 62 Piece Standard Magformers Set has plenty of pieces for kids to play with, but if that’s a bit overwhelming, there is a less expensive 30 piece Magformers set that is a good starter set for preschoolers. There are all kinds of themed Magformers sets, like the vehicle one below on the left, or the construction one on the right. Kids really do love these things! 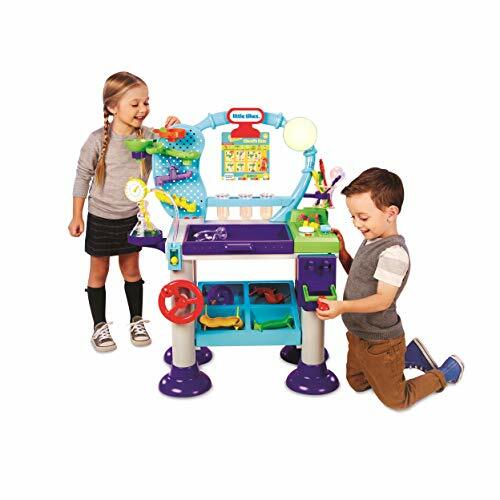 The Fisher-Price Little People toys are always on the list of the best toys for preschool boys. 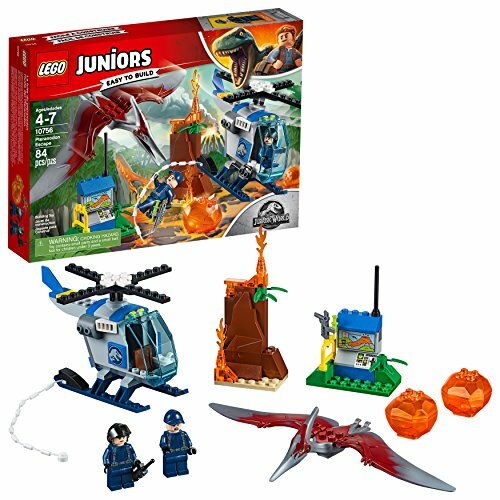 They have so many cute sets! One of their newest releases is the Little People Share & Care Safari. Oh, this thing is the perfect toy for young animal lovers! Preschoolers are captivated by the different habitat areas and love hearing the animal facts and noises. It offers lots of imaginative play opportunities but also teaches about the care and respect of the creatures with whom we share the planet, and I just love that! And of course, there are lots of entertaining little details, like a zipline and swimming hole for the little critters. I really think this is the best Little People set yet! Below are two more very popular Little People sets. An animal rescue playset on the left, and a super cool Car Skyway that’s big enough for multiple kids to play together. 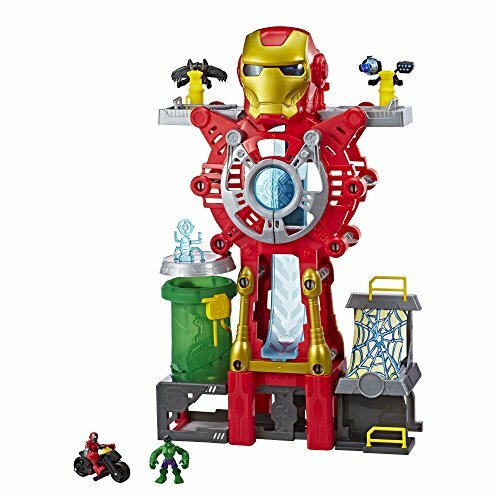 The Playskool Heroes line released the Iron Man Headquarters Playset in 2018, which is really cool! Preschoolers love discovering the trap door, sliding Hulk into his gamma chamber and launching Iron Man’s motorcycle. There are lots of opportunities for imagining new adventures for their superhero figures and these are the perfect size for little hands. The set comes with Iron Man and Hulk figures, plus a motorcycle. So more than one child can play with this right off the bat. 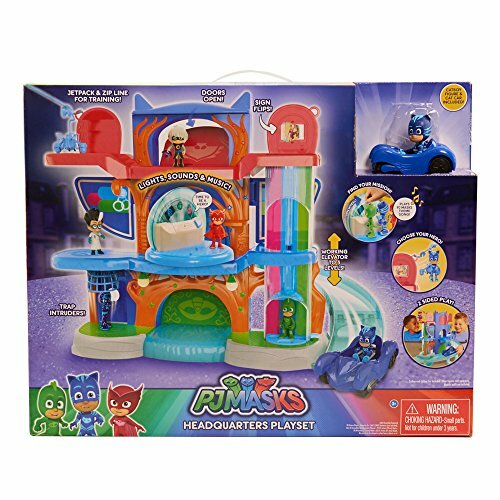 You still might want to pick up this 10-pack of Playskool Heroes to fill up this bad boy. No Avenger’s story is complete without a dust-up between Captain America and Iron Man, right? 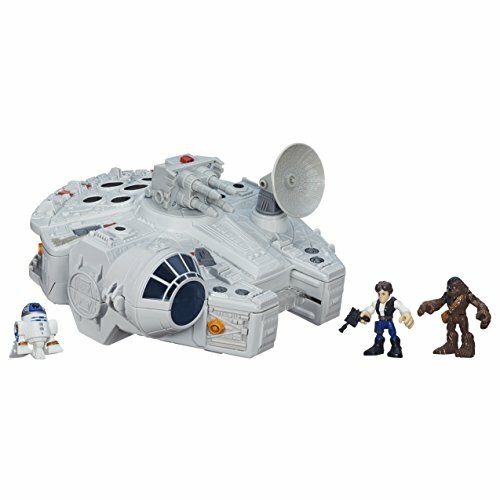 If the preschooler on your gift list prefers galactic adventures, the Playskool Galactic Heroes Millennium Falcon playset was a hot Christmas toy for preschool boys in 2018 and is pretty cool! I adore Hape wooden toys! Their Discovery Space Center Playset is beautiful, full of detail and built to last through multiple kids. 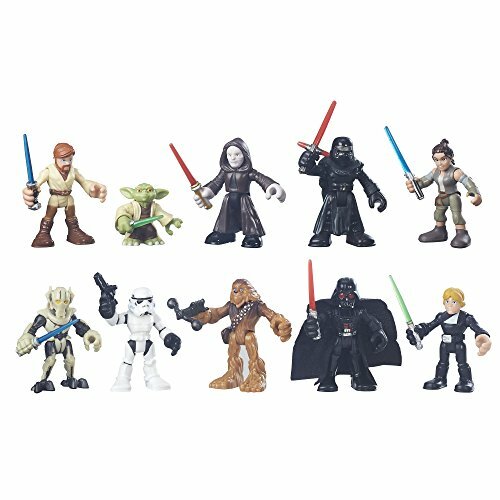 Introduce the preschool boy on your gift list to the wonders of space with this set. He’ll love blasting off with the rocket, working the gadgets on each level, and keeping things ship-shape on ground control. The circular shape is perfect for multiple kids to play together and best of all…it’s quiet! Just pure imagination with this one. Little Tikes is known for making some of the best toys for preschool boys. 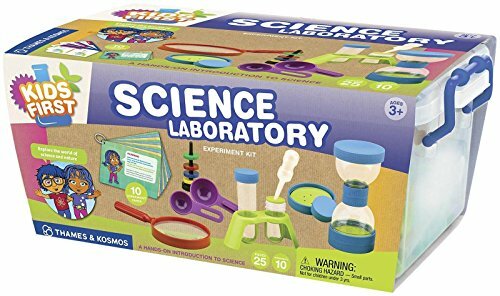 Their latest release is the Stem Jr Wonder Lab Playset. Preschoolers can do tons of simple experiments, from concocting a witch’s brew to building a cool maze. 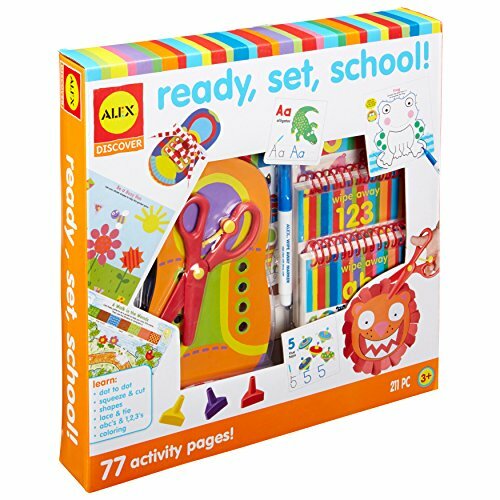 It holds their attention with sounds and phrases and offers lots of ways to keep those little hands busy. The experiments mostly require common household items, but if you want to make sure you have them on hand, this helpful reviewer lists all of the ingredients necessary. 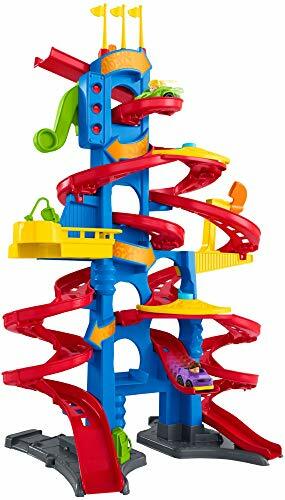 This is a nice toy for families with multiple kids because it appeals to a wide range of ages. Even grade school kids will like doing these experiments with their siblings. 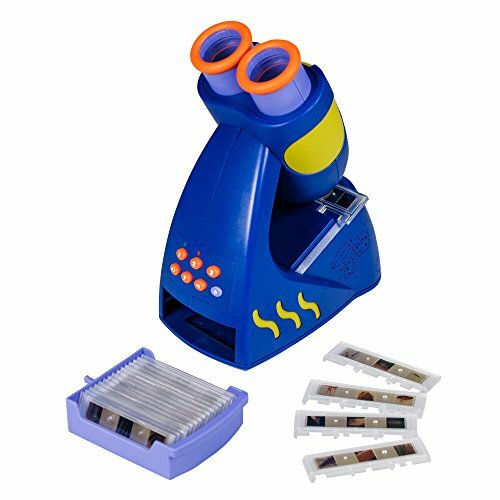 Below are two more highly-rated science toys designed just for preschoolers! 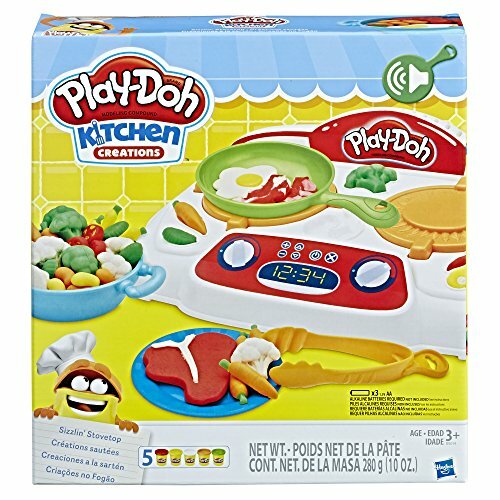 DEAL ALERT ==>>Check out all the toys on sale today! We hope this list of the best toys for preschool boys helps you to find the perfect toy for the little man in your life. Don’t forget to check out the Best Toys for Preschool Girls list, because it contains some of the best toys for preschoolers too! Many of the toys are gender neutral and 3 and 4-year-old boys may like them as much as the girls do. Shopping for boys of other ages too? 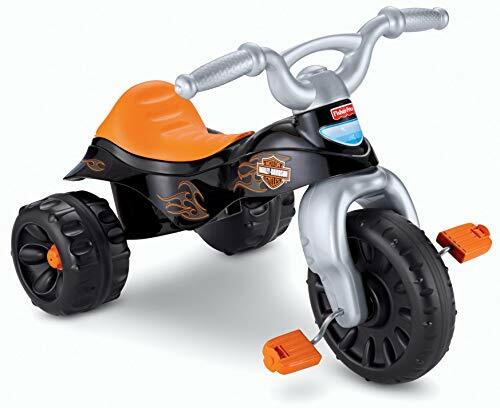 Check out our Top Toys for Boys age 6 to 8 gift guide! Thanks for the comment! Toy shopping should be entertaining, right? As an Amazon Associate I earn from qualifying purchases. Read our full disclosure here. Amazon and the Amazon logo are trademarks of Amazon.com, Inc. or its affiliates. 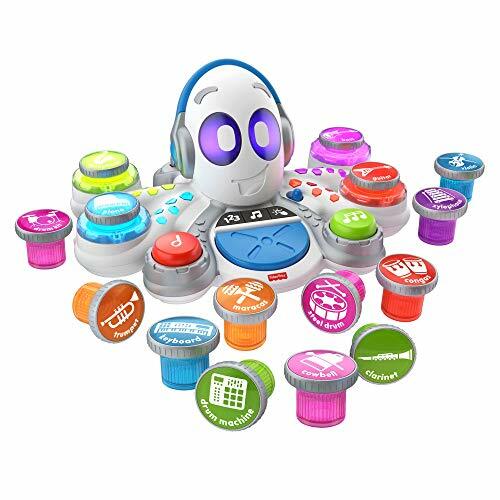 Top Gifts for Tweens – 50 of the Hottest Toys and Gadgets for Tweens! 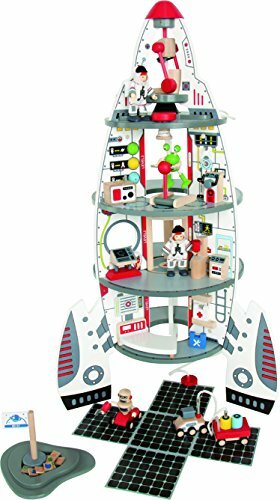 Top Toys for Boys Age 6 to 8 – The Latest EPIC Toys for Boys! Top Toys for Girls Age 6 to 8 – The Latest Toys They’re Loving! Best Toys for Preschool Girls – Latest Top Toys Preschool Girls Adore! Best Toys for Babies to Keep Them Entertained! Our Favorite Art Toys for Indoor Fun!